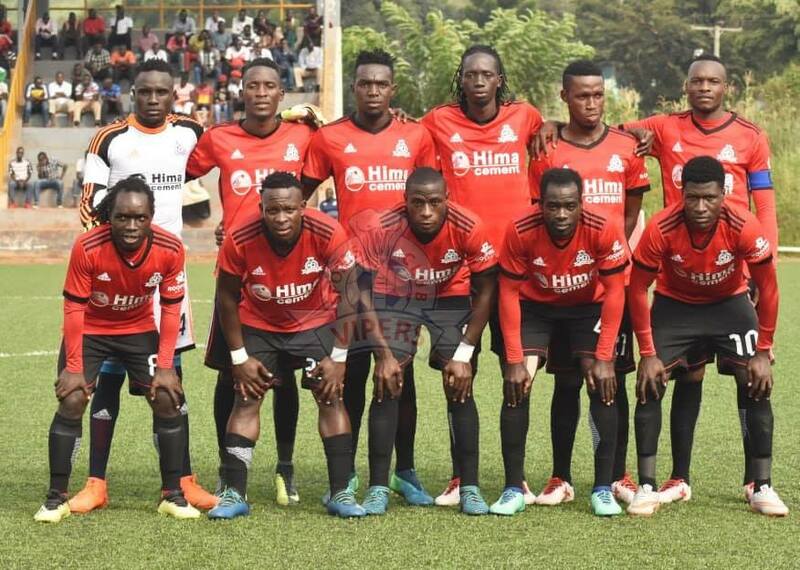 Uganda’s representatives in the 2018/19 CAF Confederations Cup, KCCA FC and Vipers SC were on Sunday dumped out of the competition by their respective opponents. KCCA who went into the 2nd leg trailing 3-0, won the game at Lugogo 2-0 but were eliminated 3-2 on aggregate. On a wet afternoon at the StarTimes Stadium, KCCA scored two second half goals but failed to mount a late surge for a third that would have seen the tie go into penalties. Patrick Kaddu opened the scoring with a well taken header in the 75th minute before Allan Okello found the back of the net from the spot with just a minute to play in regulation time. In the two added minutes, KCCA failed to get close to the Otoho penalty area before the final whistle was sounded by the referee. In the first half which was highlighted by heavy down pour, KCCA failed to impose themselves on Otoho as ball movement was hampered by the wet surface at Lugogo. It was however welcome conditions for the visitors who sat deep from the word go, resorting to hooking the ball out of their half on multiple occassions. The best chance of the opening 45 minutes fell to Allan Kyambadde but his weak shot from inside the area was comfortably dealt with by Wolfrigon Mongondza Ngobo in the Othoho goal. With the down pour no more at the start of the second half, KCCA took the initiative and mounted one attack after the other but had to wait until 15 minutes from time to open the scoring. After a well worked corner by Okello and Gift Ali, the later sent in a cross which bounced off an Otoho defender’s back and into Kaddu’s path to poke it in past Ngobo for 1-0. Moments later, Ngobo made a world class save to deny Allan Okello from distance as the goalkeeper dived low to pury the snap-shot away from danger. With time running out, Kyambadde made a brilliant run down the right and was fouled Lekolo in the area. Okello stood up and sent Ngobo the wrong way for 2-0. 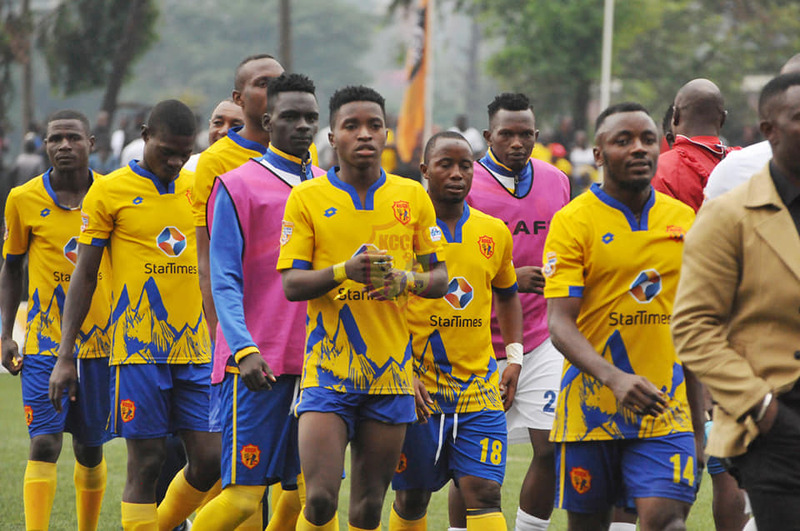 Despite needing only a single goal to level matters, KCCA could not manufacture any opportunities in the two added minutes as Otoho held on to reach the lucrative group stages of the competition. The loss means that KCCA have failed to reach the Group stage on the continent for the first time in three years. Mike Mutebi’s side were involved in the last 8 of the Confederations Cup in 2017 before achieving the same fate in the Champions League last year. For Vipers, they lost 3-0 on Sunday to bow out of the Confederations Cup by the same score line, on aggregate. The Kitende based side who went into the tie having drawn 0-0 in the first leg, were over powered by record winners CS Sfaxien at the Tareb Mhiri Stadium in Sfax City. Alaeddine Marzouki’s put the home side 1-0 up inside the opening 15 minutes. Fifteen minutes later, Nigerian Kingsley Sokari headed past Vipers’ Burundian goalkeeper Fabien Mutombora for the second goal, ensuring that Sfaxien held a 2-0 advantage at the break. The final nail in Vipers coffin was thumped by Manucho deep in stoppage time as the Tunisians booked their slot in the much treasured group stages.